The judges concluded that while the complaints “are serious,” there is no existing authority that allows lower court judges to investigate or discipline Supreme Court justices. After the hearings concluded, Chief Justice John Roberts appointed a special judicial council panel of judges from the 10th Circuit Court of Appeals to look into the ethics complaints against Kavanaugh. 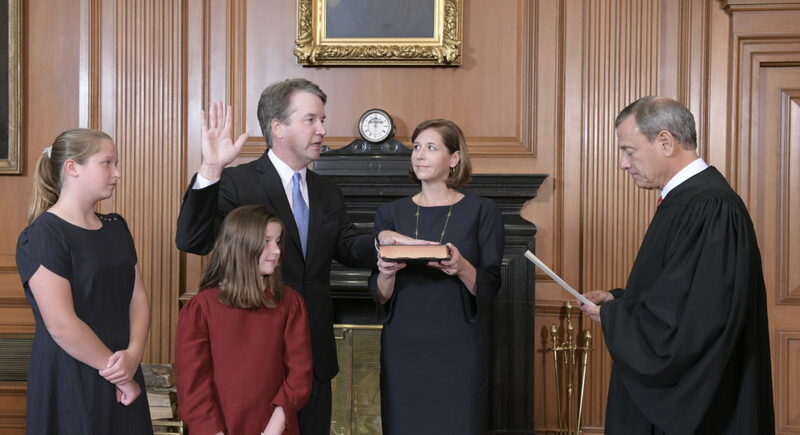 But shortly thereafter, Kavanaugh was confirmed for a lifetime seat on the U.S. Supreme Court. And on Tuesday, Chief Judge Tim Tymkovich, of the 10th Circuit, acknowledged that while the complaints “are serious,” the judicial council panel is obligated to dismiss them, because it has no authority over Kavanaugh. The judicial council is empowered to act against lower court judges, he said, but it lacks any statutory authority to investigate or act on complaints against Supreme Court justices. That is, in part, because the Supreme Court was established by the Constitution, while the lower courts were established by Congress. Some reformers have long urged Congress to enact a code of conduct for the Supreme Court and to put in place some sort of disciplinary mechanism short of impeachment.